mg5pro™10mm Ear Monitors® Custom Fit Professional Earphones, feature our mg5pro™ 10mm proprietary miniature dynamic transducers. The mg5pro™ dynamic speakers, designed & manufactured by Future Sonics, are multi-driver & crossover free; delivering warm, full range audio for use on Stage, in the Studio & with personal media players. mg5pro™ Ear Monitors® audio signature, reliability and workmanship allow performers to hear themselves with exceptional clarity; while our BIGGER SOUND at lower volume™ promise continues to deliver the best sonic performance possible. 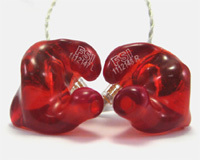 mg6pro™ 13mm Ear Monitors® Custom Fit Professional Earphones, celebrating 25 Years, now feature our NEW mg6pro™ 13mm proprietary miniature dynamic transducers. The mg6pro™ are multi-driver & crossover free; delivering full range audio w/ natural hi-end sparkle, warm mids and a low-end frequency response no two, three, four or more way balanced armature earpiece can touch! 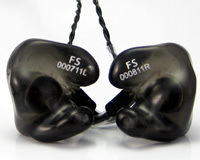 mg6pro™ Ear Monitors® audio signature, reliability and workmanship allow performers to hear themselves with exceptional clarity; while our BIGGER SOUND at lower volume™ promise continues to deliver the best sonic performance possible.